Holy smokes but I’ve been gone a long time; it may take me awhile to get the hang of this again! I remember a friend, living in Alaska, once told me how much she missed the ocean, that she felt as if she were lying dormant, living in the interior of Alaska. I didn’t understand…it was beautiful there…how could she not love it?? Then, I moved. I traveled around the U.S. and whereas I could appreciate each environment I visited, none “felt” like home. After spending the summer on the East Coast and the Midwest, I found myself in Montana for autumn. I pulled in to a campground at a rather high elevation and as soon as I stepped out of my truck, the smell of the north country hit me and I cried; it smelled like home. We have been in our new home here in the Black Hills of South Dakota for just over two months now. We are surrounded by trees and feel as if we have been greeted by old friends. And speaking of old friends, there are birds, birds, birds right outside our windows and doors! This first post back will be some photos of the local residents. 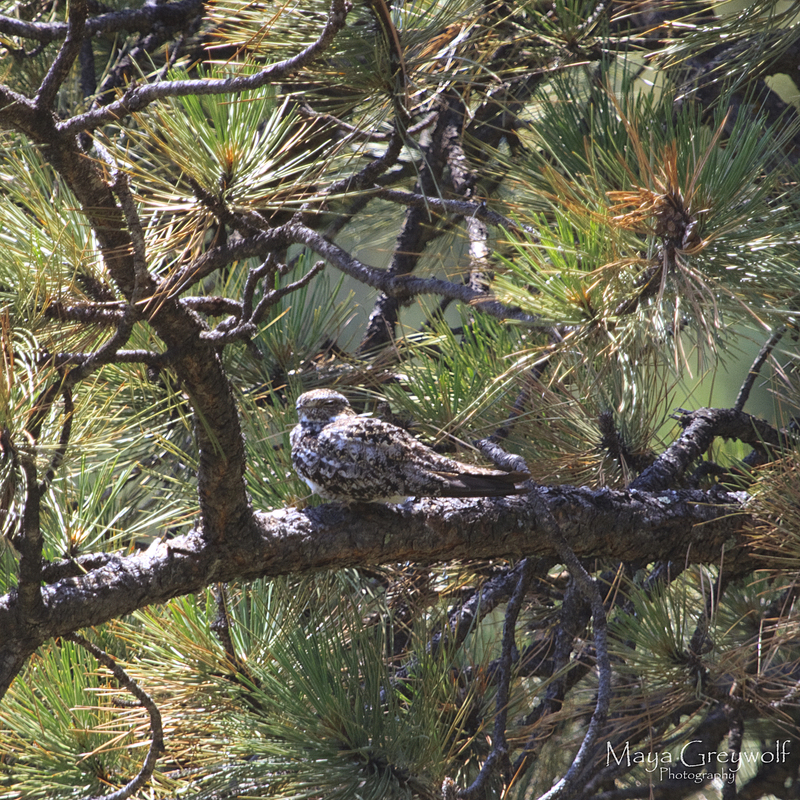 Every evening the sky around our house would fill with the buzzing of Common Nighthawks. I was able to catch this one as it was roosting. A master of camouflage yes?? There is a family unit (more?) 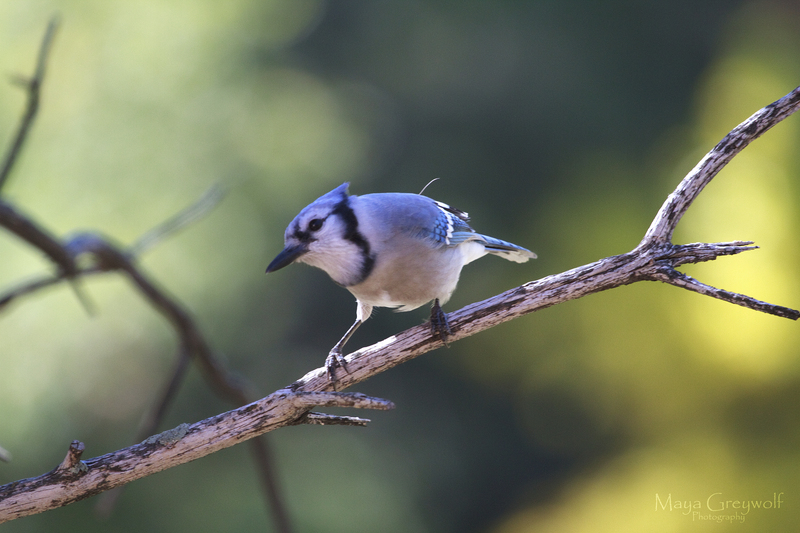 of Blue Jays who visit every day. One day I was just SURE I heard a Red-tailed Hawk close by and ran outside with my camera. I searched the sky and trees around the house but all I could see were a few jays. Knowing it was unlikely that the jays would not be pestering a hawk if it were in the area, it dawned on me that this wasn’t the first time I’d spent a lengthy period of time trying to locate a sitting hawk only to realize it was a (Stellar’s) jay mimicking the sound. Fascinating. 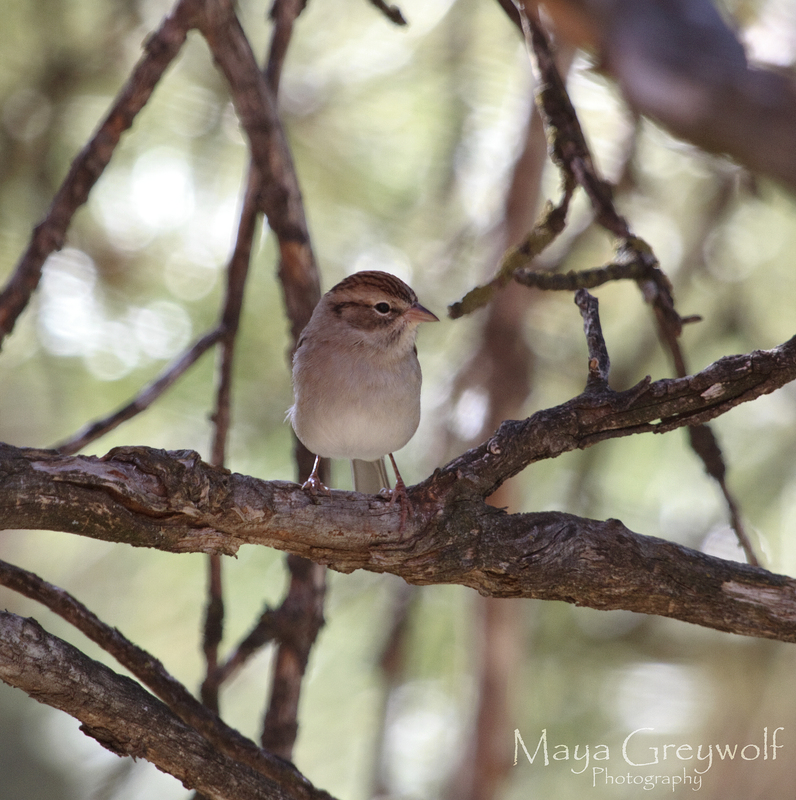 The Chipping Sparrow in the first photo had me a bit confused as to the proper identification. 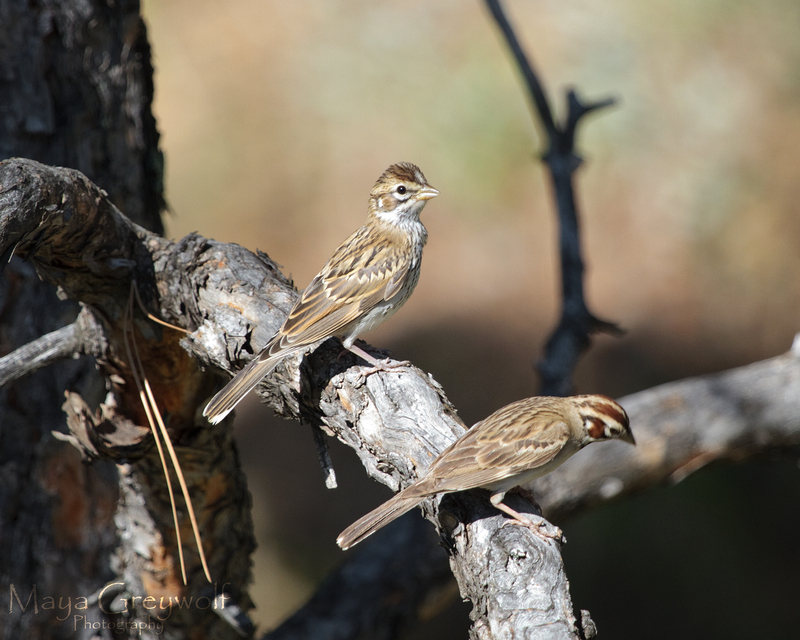 I spent no less than an hour doing research and comparing chipping and clay-colored sparrows. The broken but pronounced eye-ring was what cinched it. If anyone disagrees, please feel free to comment. These little guys make me laugh. Their “nyak, nyak, nyak,” call sounds a bit nagging and yet a bit clownish. 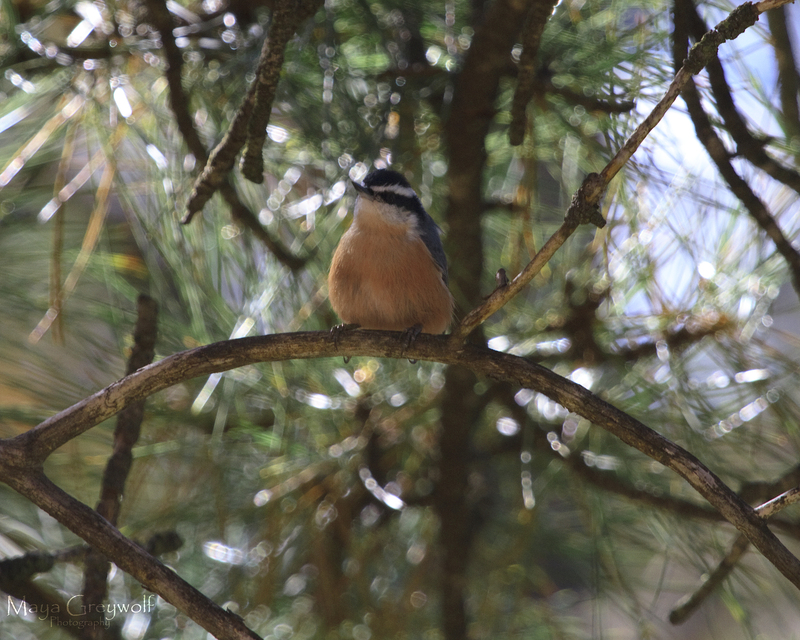 For such little birds, they really rule the roost at the feeders – chasing off all but the jays. 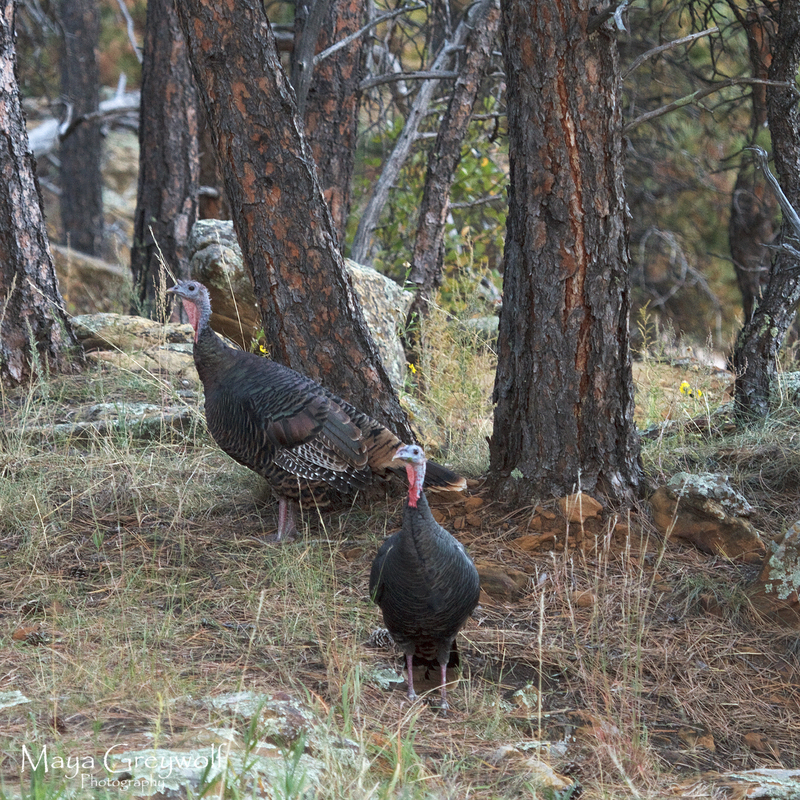 I have never seen so many wild turkeys as I have here. There must be at least two dozen who make the rounds twice a day. It was fun to watch the chicks grow up. These appear to be two, very healthy adults. 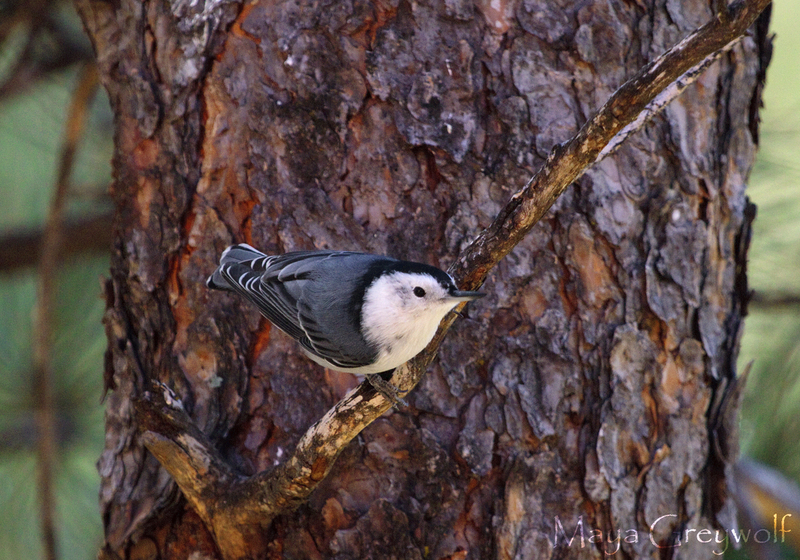 There are a few White-breasted Nuthatches about but not nearly as many in number as the red-breasted. 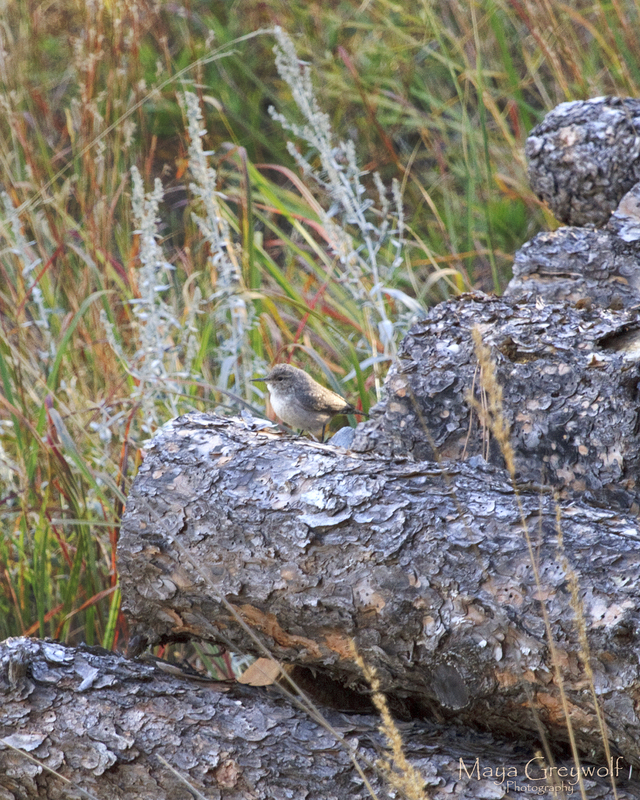 It has been years since I’ve seen a Rock Wren so I was very excited when I spied this one just yesterday. That’s it for now. I don’t know why I don’t have a recent photo of the numerous chickadees but I’m sure I will in the near future. Beautiful shots all. Enjoyed seeing them, thanks. Wow, you really do live in “Bird Heaven” and your photos are so great! You’ve really “captured” them! 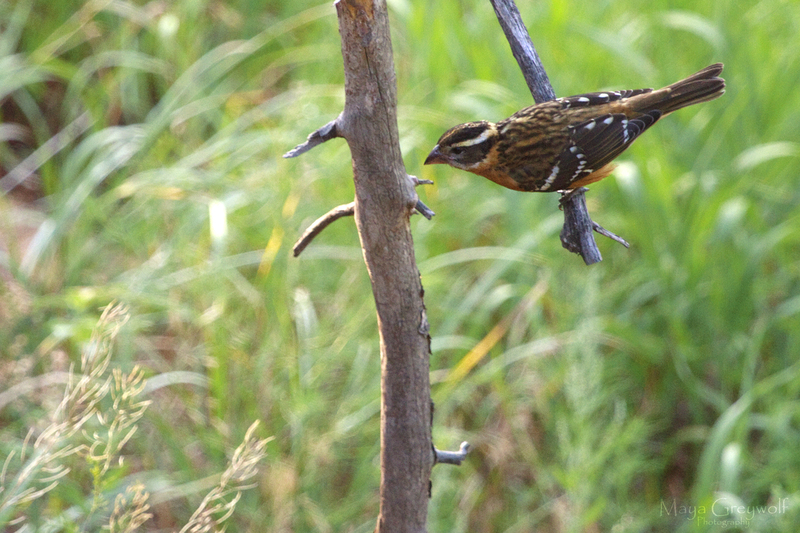 I’ve been a birder since I was a kid – so I love to hear what people are seeing. 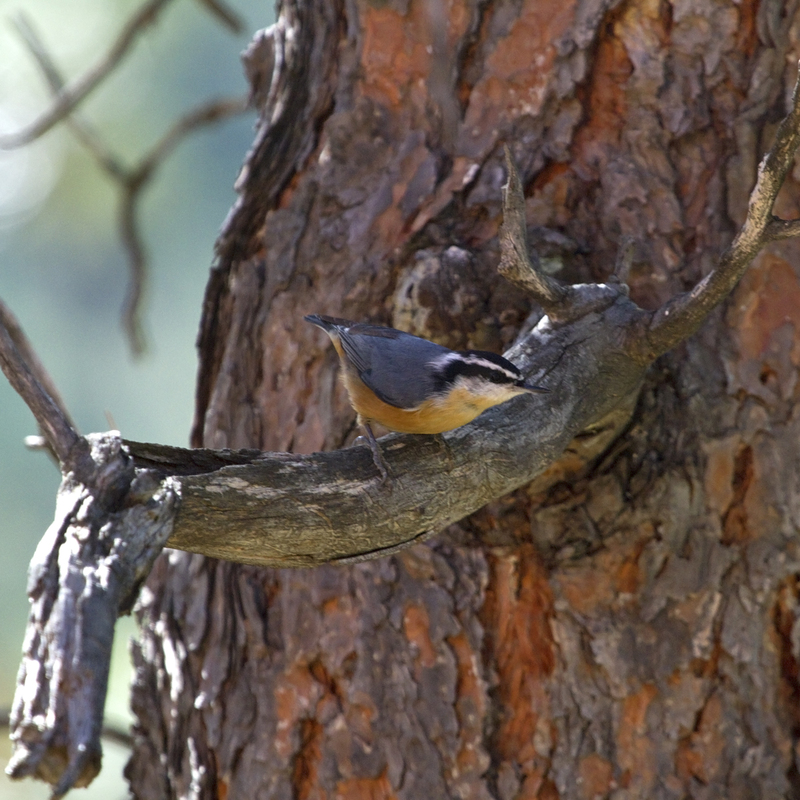 Our RB Nuthatches are also fierce – it’s amazing how persistent they are! 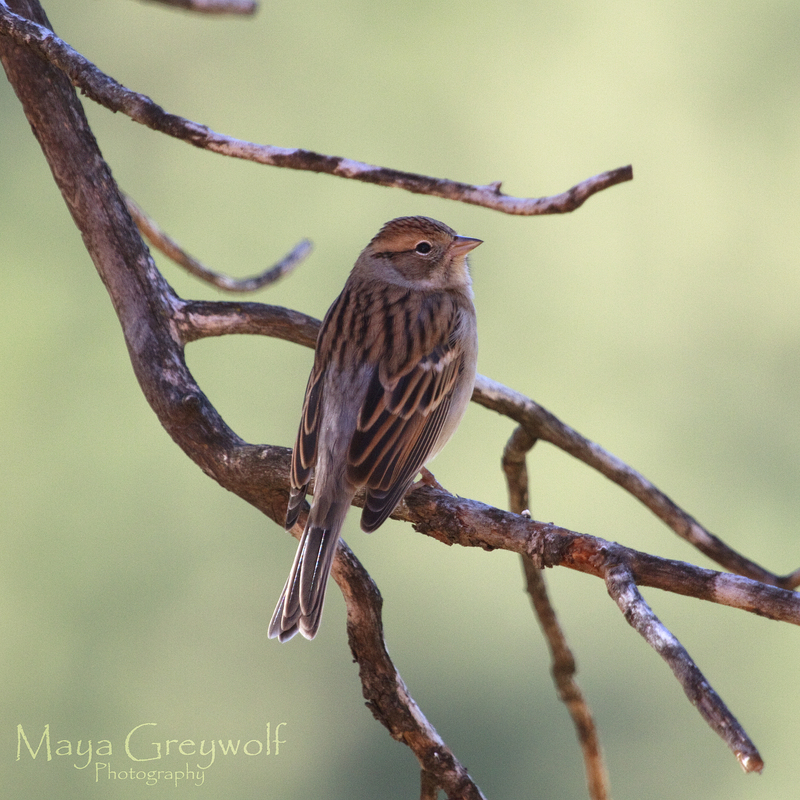 I don’t really know the Clay-colored sparrow but I used to see Chipping Sparrows regularly back east – aren’t the habitats’ pretty different? Maybe not where you are though. They do have a recognizable “chip” too. Good pictures! You are correct about the habitats/environments being generally different but, as with all things, there is no black and white. 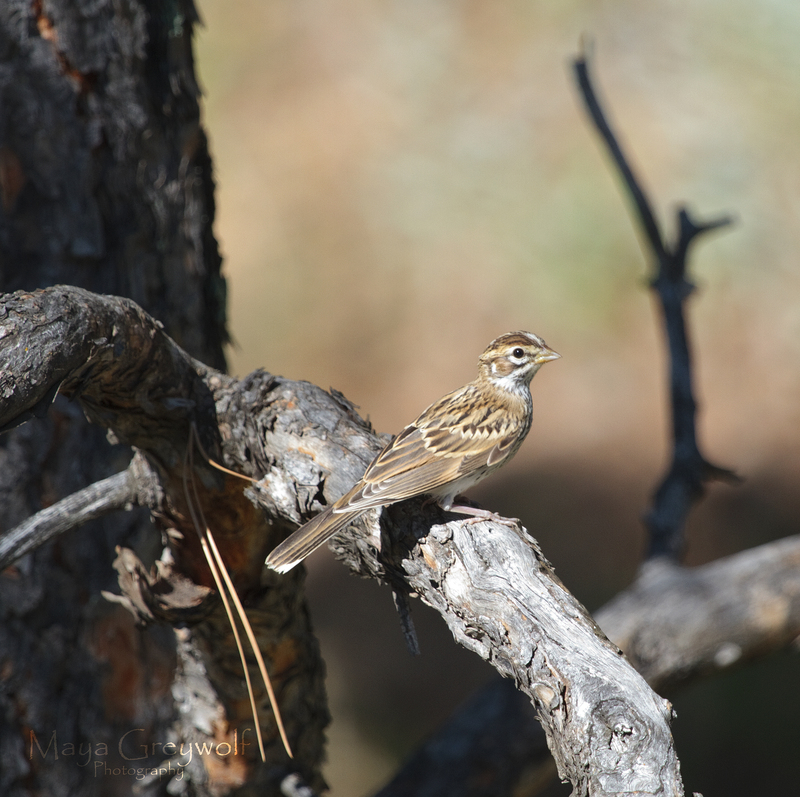 I was fortunate enough to see many Clay-colored sparrows while in North Dakota, primarily in the grassland/prairie areas and chippies in more treed areas (general rule) but where we are, here in SD, is really an edge environ – we’re primarily in the trees but have large grassy areas too and, if we drive 1/4 mile, we’re in the open prairie. It gave me a good exercise in examining detail of individual birds (and they are quite varied this time of year) and considering multiple elements to do a proper id. Had they been vocal, it would have made things much, much easier! Ah yes, easier for sure when they speak up! Good that you’re living on the edge – where it all happens, right? Have a great time in your new home! We’re expecting more beauties soon! I just found you again, so glad you’re back! Wonderful images of these little creatures! Thank you! Yes, it seems I’ve been lost for quite awhile now but I’m really hoping to get some posts out on a more regular basis. I hope you’re doing well!